What if you couldn't be a veterinarian? You insure the things that are most important to you – your car, your home and your life – but what if you became too sick or hurt to work? How would you continue to pay for the insurance on those assets? Individual disability insurance protects your most important asset—your income. 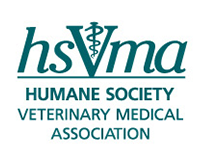 As a member of the Humane Society Veterinary Medical Association, you are eligible to receive premium discounts of up to 20% on Individual Disability insurance from Principal Life Insurance Company. This program is managed by Wells Fargo Insurance Services. The policy offers non-cancelable coverage and guaranteed premium rates until age 65 that protects you in the event of a total disability and you are unable to work in Your Occupation, which is the occupation you're actively working in at the time of your disability until the end of benefit period. Residual Disability Benefit: Provides partial benefits (if certain requirements are met) if you are working at reduced capacity or in a different occupation due to a disability and have a loss of earnings. No-cost Benefit Update: Allows you to purchase increased benefit amounts on a regular basis, without requiring proof of medical insurability. Cost of Living Adjustment: During a disability, you receive cost of living adjustments to your monthly benefit to help keep up with inflation. Regular Occupation: If you become totally disabled from Your Occupation and choose to work in another occupation, this rider provides benefits regardless of income earned from the other occupation. Transitional Occupation: If you are totally disabled in your occupation, but are working in another, you receive benefits based on replacement of your pre-disability earnings up to 100% but not more than the maximum monthly benefit. Insurance issued by Principal Life Insurance Company, a member of the Principal Financial Group®, Des Moines, IA 50392, www.principal.com. Policy and rider descriptions are not intended to cover all restrictions, conditions or limitations. Refer to policies and riders for full details. Riders are subject to state availability. Some riders are subject to additional premium. Disability insurance has exclusions and limitations. For costs and coverage details, contact your Principal Life financial representative.